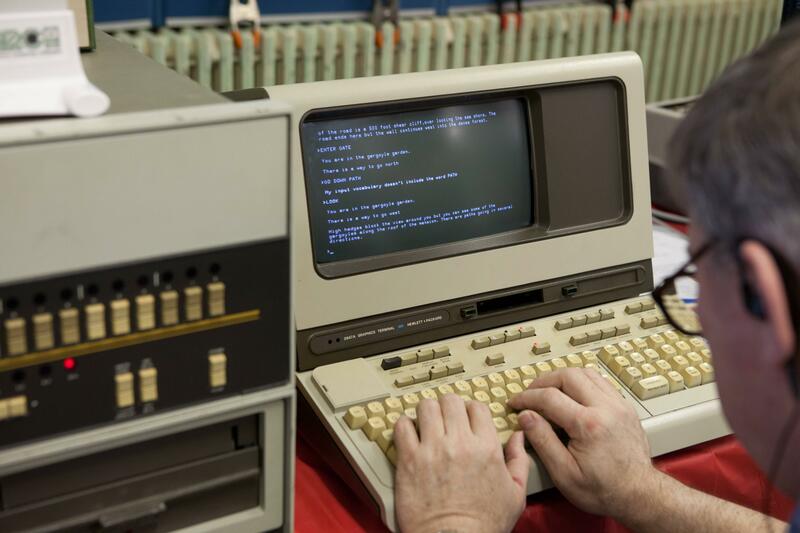 What is the text adventure being played in this photograph? road ends here but the wall continues west into the dense forest. You are in the gargoyle garden. The game was remade for various systems including DOS and Android.